In January, the ex-Labour MP for Peterborough was sentenced to three months in prison and failed in an appeal. The charge before the Solicitors Disciplinary Tribunal is that, as a result of her conviction, she failed to uphold the proper administration of justice, act with integrity and behave in a way that maintains the trust the public places in her and the provision of legal services. The tribunal has certified that there is a case to answer, but the allegations remain as yet unproven until there is a hearing. 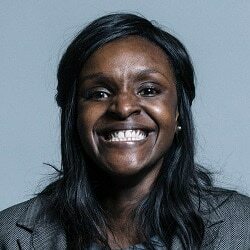 Sentencing her at the Old Bailey, Mr Justice Stuart-Smith repeatedly referred to Ms Onasanya’s role as a solicitor – she was previously a commercial property specialist.